Does sharing equal caring? Not really, say global marketing leaders. LONDON: As Unilever kicks off an ambitious content partnership with Vice's new Millennial women's channel, what are the lessons marketers can learn from these two brands? Plus, here are content marketing insights from Visa, Diageo, Airbnb, and Mars. "The biggest insight is that no one wakes up and thinks, ‘I really want to find out what Pedigree is saying today,’" says Mars CMO Bruce McColl, highlighting that brands must remember how unimportant most of them are in people’s daily lives. "We have to move them, make them laugh, make them cry. Unless we do that, we’re just wallpaper." By talking at length about purpose, Unilever is rarely far from the conversation when the subject arises. 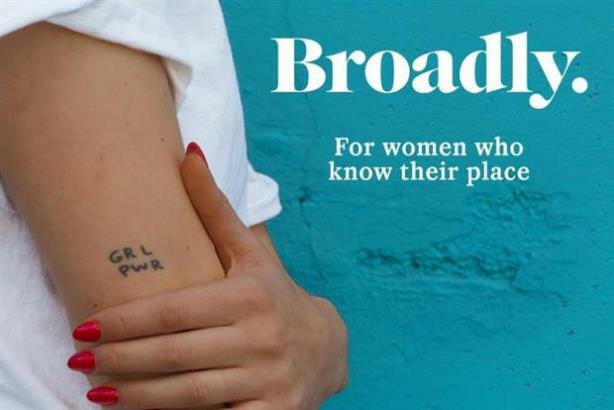 And Unilever CMO Keith Weed used the announcement of the company’s tie up with Vice to sponsor Broadly, a new channel aimed at Millennial women, to underline why purpose matters to its content marketing strategy. "People want brands with purpose and brands that matter. Brands with greater depth are those that people want to spend [time] with," says Weed. "Yes, we make everyday products and brands that are part of peoples' lives. What Vice has done brilliantly is become woven into peoples' lives; it’s not something people go to; Vice is a part of their lives. We want that. And learning the way Vice develops content is a great lesson for us." Eddy Moretti, chief creative officer for Vice, says the question every brand must ask itself when forming a content strategy is how to create content that reaches people in a way traditional advertising does not. "[You need to] spot something happening in the zeitgeist," he says. "There has been a change in the discourse and a shifting landscape around women’s issues. Websites are geared around reactionary commentary, wagging fingers for doing or saying the wrong thing. We knew we could do something more substantive." Finding this cultural white space is what, Moretti believes, will make an impact. It’s not a new concept, but at the Cannes Lions this year, there were few panels that did not extol the virtue of experimenting online. Be ready to invest and then pour fuel on the content that wins, advises Diageo CMO Syl Saller. For Weed, the concept has been liberating. "How we used to do it was a 24-week run and £500,000 budget. Now, it’s about real-time development, testing, then building on what works. If it doesn’t, no one knows, and it just disappears." With so many people "building the pipes," what is going down the pipes? asks Weed. "Attention spans have gone down from 12 seconds to eight seconds, while the goldfish has held firm at nine seconds. The average length of time people are spending with Vice video is seven minutes – we’d love that," he says. "In the 1980s and ‘90s, it was about kicking down doors. Now it’s engagement in a world where people are very flighty." While content is being devoured, the worst mistake that brands can make is thinking that people "want more stuff." Deeper engaging content is where the connections are made. "Rather than go for 1 billion users with shallow engagement, our mantra is a deep and committed community," explains Moretti. "To get philosophical, our mission is to slow the flow down; it comes so rapidly. Headline news distribution is instantaneous, and you lose empathy - five more people dead, oh dear. Our job is to slow the rush of those headlines and make you care. There’s not a KPI for caring yet. There’s no Web doohickey that measures emotional engagement." Joining up your data with your content marketing strategy can open up vast opportunities. "As one of the largest commissioners of market research in the world, we are in a position to help make content vibrant and interesting," says Weed. Unilever’s All Things Hair came out of its close partnership with YouTube and Google. "It’s just data, but we turned it into smart data and predicted hair trends," Weed says. By using its predictive data, Unilever was able to have the content ready before people knew they wanted it, Weed adds. "By the time people are interested we can be talking about it. So, if they want to search for a messy bun, they’ll find the videos on All Things Hair already," he explains. If brands can tap into that utility, offering people a service they really want at the time they want it, then that makes an easy business case for content marketing. "There are more similarities between a young guy in Shanghai and another in Sao Paolo than between either guy’s dad or granddad," says Weed. "There are 1.9 billion Millennials – a whole group of people coming through. And you’d be making a great mistake if you think that when they hit 45 they will be the same as those today with their big mortgages. Understanding this huge target audience is necessary - and exciting." Similarly, Visa SVP and head of North America marketing Lara Balazs advocates that "humans are global, and biology trumps geography hands down." People across the globe have far more in common than many marketing departments give them credit for. Airbnb CMO Jonathan Mildenhall says that during his time at Coca-Cola, there was a focus on why markets are different. "I believe the human race is far more similar than different. Politics in organizations lead us to believe that’s not the case," he says. "In a young organization, there is not the inherent institutional friction that stops big ideas scaling round a company."